Beerstein, Wooing in Bavaria stein, basic color cobalt, pewter flat lid, 6.5 inches tall. 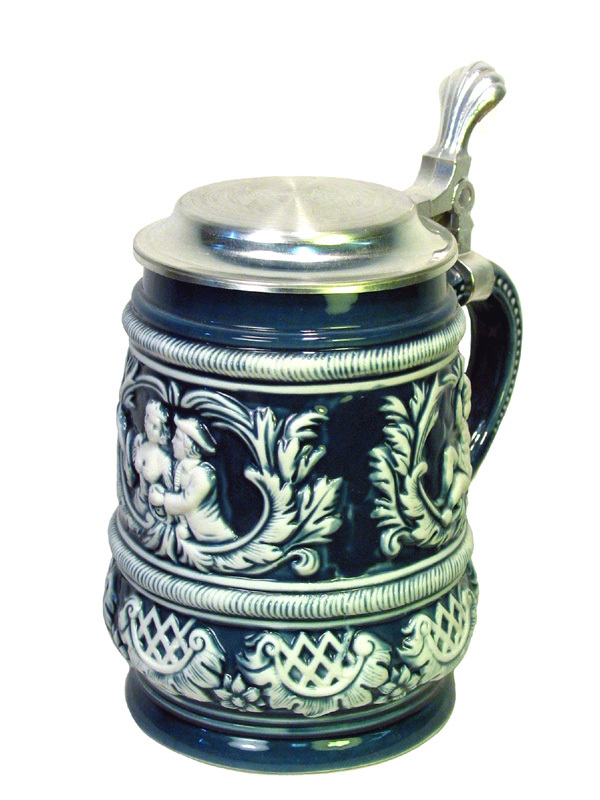 This is a very nice Bavarian wedding theme stein. The picture shows a medieval couple, in modern words flirting before marriage.